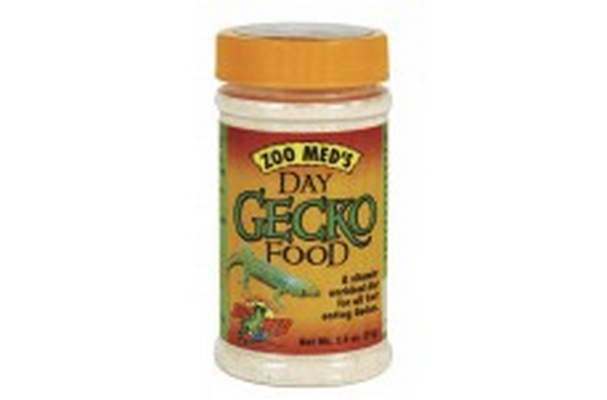 Day Gecko Food Is Fed Dry, Easy For Those Uneasy Reptile-Sitters. No More Chopping Up Fruit Every Day. A Natural Substitute For Times When Sweet, Ripe Fruit Is Not Available Or Inconvenient. 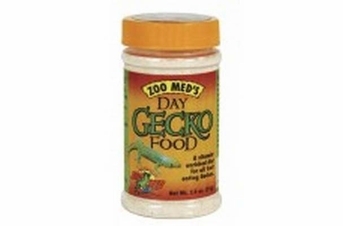 Dextrose, soybean flour, whole wheat flour, sucrose, dried whey, corn oil, corn gluten meal, dicalcium phosphate, dehydrated alfalfa, calcium carbonate, dried brewers yeast, artificial blueberry flavoringmethionine, salt, spirulina, beta carotene, and more.